If the bid is approved, Russian's second-largest city will become one of 13 venues Which among the tournament will be shared, reports Xinhua. 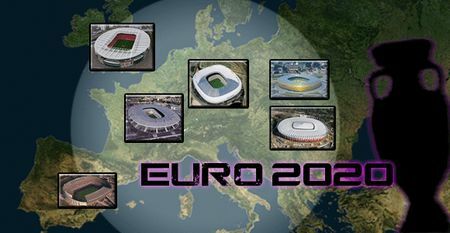 For the first time, Euro 2020 will be held in various cities across Europe as proposed by UEFA President Michel Platini. One country will host the semifinals and final, while 12 others will host group games and knockout matches. St. Petersburg, if approved, will host three grouping and one quarterfinal games. St. Petersburg's 69,000-seat stadium Zenit currently under construction will host a semifinal of the 2018 World Cup. The arena is to be completed in 2015, seven years behind the schedule. Russian Sports Minister Vitaly Mutka said Russia has a full right to place its bid because 2020 will mark the 60th anniversary of the first Euro Cup won by the Soviet Union. FIFA President Sepp Blatter insisted Monday that hosting the 2018 World Cup would be an advantage for Russian bid because it Guarantees that all Necessary infrastructure for Euro 2020 was ready. The list of bids will be Considered Sep 19-20 at the UEFA meeting in Croatia and the final choice is to be made ​​in September 2014.